Thank you to Jane Davies and family, Abercamlais stud, for letting Verdrefawr King of Hearts join us. Tom has a wonderful temprament and we feel he will compliment the mares really well. Tom will be running out with our mares in 2018. Not standing at public stud. Deucoch Eirys has left for her new home. Wishing Mary and family all the best with her. 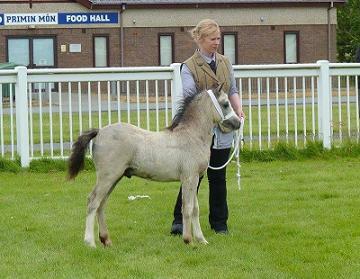 Deucoch Nerin at her first ever show for Greyoaks stud. Lovely to see Deucoch Cerys enjoying her work with Becky, Pauline and family. Final foal of 2016 has arrived. Deucoch Eos has had a filly by Springbourne Charmer. Details on the foals page. Betws Blodwen has had a bay filly foal by Heniarth Quip. Details on the foals page. First foal of 2016 has arrived. Details on foals page. Betws Blodwen 4th Ynys Mon Bronze Medal show. Thank you to Rhosbrenin Stud for showing her for us. Betws Blodwen. 5th Barren mare Clwyd silver medal show. Deucoch Lois returns home after 5 years away. Lois is by Betws Llew and out of Nerwyn Lieta, making her a full sister to the wpcs Medal winner Deucoch Mirain. Thank you to Sian Cowper of Cowper horse transport for bringing her home for me from Devon. And also, to The Lledrith stud for making it possible for her to return home to Deucoch. Thank you to Tor Hughes for this lovely photo of Deucoch Elgan, attending his first dressage competition with his young owners Isabelle and Amber. 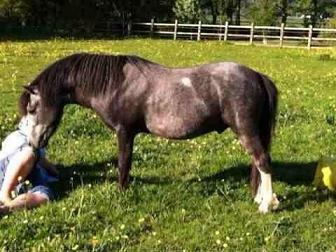 Elgan was bought for the girls as a weanling foal and at only 4 years old and showing what a lovely genuine family pony he is. 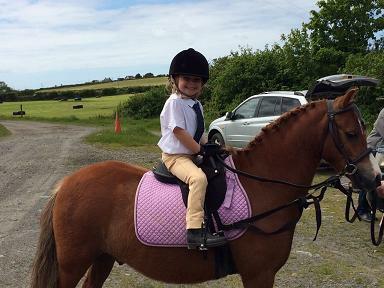 Deucoch Eos, 4th Barren mare class in Light horse and pony Show, Ynys Mon. Thank you to Gerallt Hughes Rhosbrenin stud for showing her for me. Deucoch Cerys has left for her new home. Wishing Becky and Pauline all the the best with this lovely young mare. Deucoch Nerin has left for her new home, she is joining Deucoch Pernod at the Greyoaks Stud. Wishing Marion & family all the best with her. Deucoch Imperial has left for his new home with Sally and Family at Medicine Horse Mountain, as a therapy pony, wishing you all the best with him. 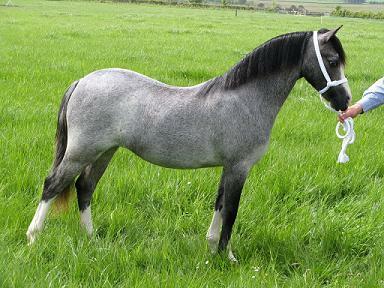 Deucoch Cerys 1st in 2/3 year old colt, filly or gelding at Trefor Show. 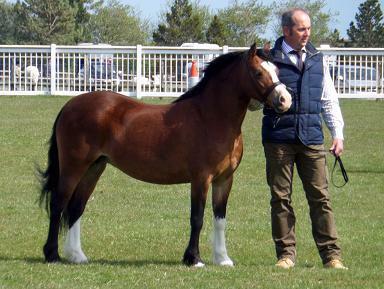 Deucoch Eos 1st broodmare and Section A champion wpcs bronze medal winner at North Wales show. Deucoch Henri was 3rd. Deucoch Eos 2nd Broodmare class and Deucoch Henri 2nd foal class at Ynys mon assoc medal show. Congratulations to the Glenisla Stud, Deucoch Marina reserve champion at her first show. Both foals for 2014 have now arrived! Photos on foals page. 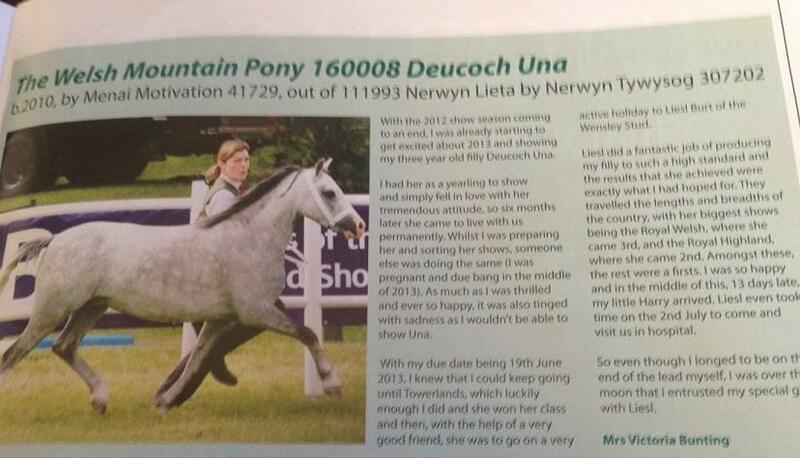 Lovely to see Deucoch Una in the welsh pony & cob society magazine. 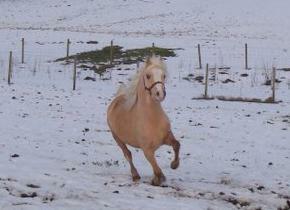 We have a lovely young gelding for sale. 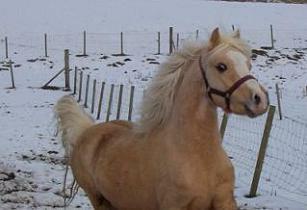 Deucoch Imperial was born for the lead rein/first ridden job. 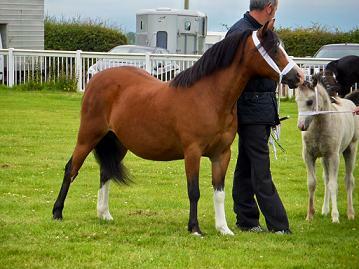 Will also be a quality pony to enjoy show inhand in youngstock classes. Sensibly priced. Registered, well handled & halter broken. Deucoch Marina has joined Glenisla Stud in Scotland. Wishing her new owners the Simpson family all the best with her for the future. 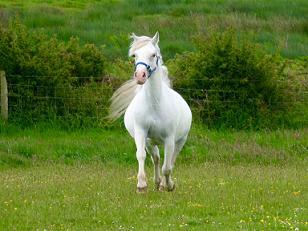 New photos on foals page. Deucoch Una 3rd in a massive class of 3year old fillies and geldings at the Royal Welsh. Congratulations Victoria and all those involved in her success. Photo taken by Stacey Barker. 1st and youngstock champion : Market Bosworth. Llannor Peggy has had a stunning colt foal, by Nerwyn Llabed. Nerwyn Lieta has had a beautiful filly by Betws Anrheg. Photo of Deucoch Madryn. 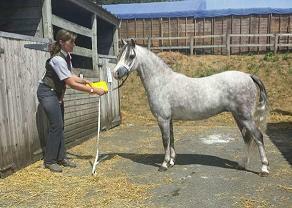 (2009 Nerwyn Gawain x Deucoch Lois) by his owners Laura and Heather. Madryn is broken and looking for a rider and available on loan from current premises in the Manchester area. Anyone interested, please get in touch and i will pass your details on. Fantastic showing prospect. Deucoch Pernod (2009 stallion Nerwyn Gawain x Deucoch Mirain) enjoying the snow at Greyoaks stud photo courtesy of his owner Marion. eucoch Cerys 5th Gwynedd breeders Assoc show.